About Us - Rademann Stone & Landscape Col, Inc.
About Rademann Stone & Landscape Co., Inc. Throughout the Midwest, Wisconsin, and Fond du Lac, "Rademann" & "Stone" are synonymous. Founded and located in an area where the natural ground material is limestone for miles deep, Rademann Stone & Landscape Co., Inc. is a family-owned company that take's pride in quarrying and producing building stone, cut stone, and landscape stone for dealers throughout the Midwest . Our expertise in the stone business dates back to the 1940's where our craftsmen, then and now, still quarry the Niagara Dolomite vein - commonly called the Niagara Escarpment or locally speaking “The Ledge”. 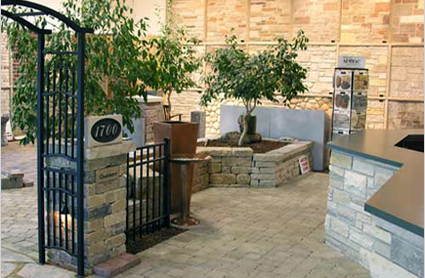 With two locations on the eastern Wisconsin edge, Rademann Stone & Landscape Co., Inc. quarries and produces stone products that are unique to our area and reflect years of history. Both our Fond du Lac and Chilton quarries provide us with a range of size, color, and texture. From custom projects to simple weekend jobs, Rademann Stone & Landscape Co., Inc. is the answer to naturally adding beauty, durability, and value to your investment.